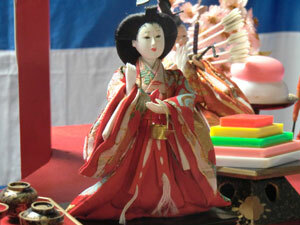 In Japan,March 3th is "Doll's Festival Day". We celebrate this day for health and growth of little kids (girls). 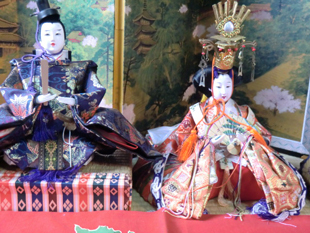 In Nara,(Takatori-chou),Dolls Festival is held through this month. 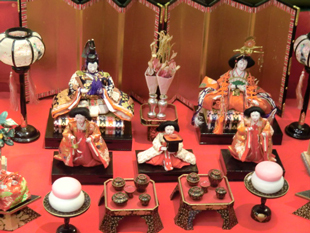 Please enjoy various kind of Hina-Dolls! 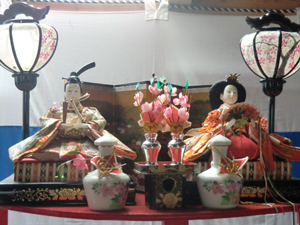 Usually miniature dishes for dolls are also displayed like this photo. 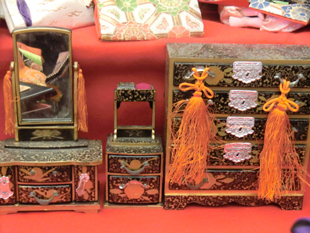 These are also miniature furnitures for dolls. 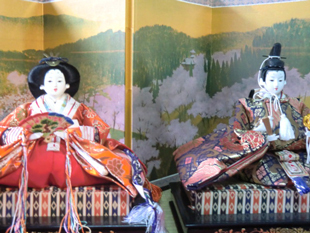 This lovely doll is displayed on bamboo.